At the heart of On Demand by Thompsons is one basic overriding ideal – the client always remains yours and it is a fundamental part of our job to ensure that your relationship with your client remains as strong as ever so that at the end of the compensation claim, the client will go back to you for all other legal matters. We know from our experience in these matters that how we communicate with clients can make a big difference. You need to be comfortable with the process and you may want to remain involved in the process as the matter is pursued. We have many solutions. You may want us to create headed notepaper which is jointly branded with both our firms’ logos. That way your own firm is never far from your client’s gaze. Alternatively, your client may feel more comfortable if client meetings are held at your office rather than our own. In those circumstances, you can of course feel free to attend any meeting. When it comes to the conclusion of a case, that is where you may very well prefer the final meeting to discuss settlement to take place in your office and with you in attendance in order that you can, at that point, discuss the other services a client may wish to consider such as wills, financial advice or conveyancing matters. The meeting can be organised such that we discuss the settlement of the case firstly and then leave you to discuss the other legal services with your client on your own. Alternatively, when the settlement cheque comes in we can simply send the cheque to you to forward on to the client yourself. That way, you are communicating with the client when the gratitude curve is at its highest and you will be able to introduce the idea of other legal services when the client is immediately in funds. 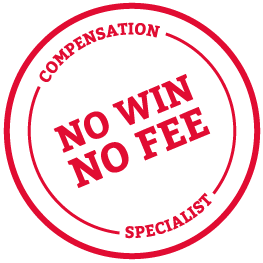 As you would expect from the most flexible personal injury referral service available to Scottish solicitors, it is your call entirely. You decide what needs to be done and we will do it.